WHAT ARE GUM LIFTS AND GRAFTS? The gums are the foundation which keeps your teeth strong and safe from harm. Unfortunately, sometimes, the gums experience tissue loss and start shrinking, leading to the creation of gaps between the teeth and the gums or the roots getting completely exposed. This is called gum recession. Typically, low to mild gum recession is treated through scaling and root planing. In these treatments, the plaque and tartar formed on the surface of the teeth are removed using a small instrument and the tartar formed inside the gum is also scrubbed clean. However, when the gum recession is extremely severe, and these treatments prove ineffective, dentists choose a treatment called gum grafting surgery. If instead of gum recession, you have an overgrowth of gums, you can choose to have what is called a gum lift treatment. 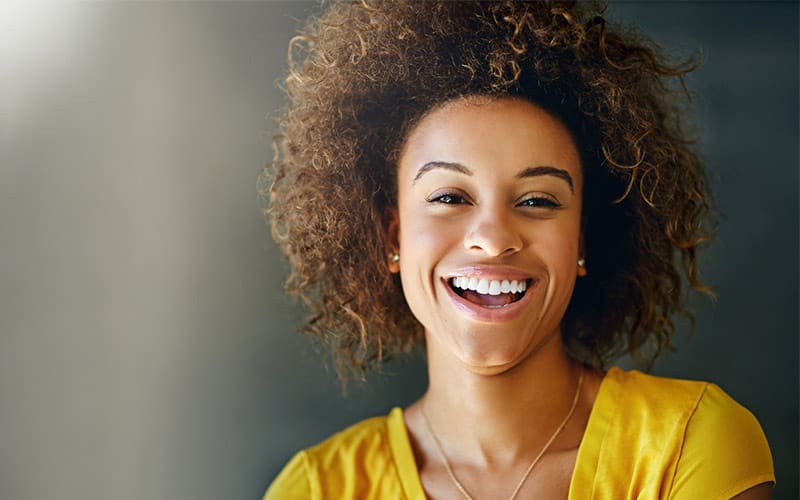 The gum lift and gum grafting are two separate surgeries that are prescribed either separately or together depending on the patient’s requirements. The gum lift surgery, also known as gingivectomy, is a minimally invasive surgery that is designed to lift the sagging gums back into place. It is usually recommended to people who have a very “gummy” smile, a smile where more gums are visible than the teeth. Here, the dentist will focus only on the front-facing part of your gums, since that is the area that is visible to others. He/she will change the shape and size of the gums to give you a more natural and beautiful smile, where your teeth are visible to their best advantage. A soft tissue laser is used to prevent excessive bleeding and swelling. The gum graft surgery is performed only when the chances of the gum recession healing are negligent, and the patient requires immediate assistance to restore the gums to their former health. This procedure usually involves taking a graft of the skin located either at the base of the mouth palate or the skin below the mouth. This tissue is then surgically reinforced to the area of the gums which have lost mass and where the gaps and holes are visible. WHERE WILL THE DOCTOR EXTRACT THE GRAFTING TISSUE? Three different types of gum grafts are usually done during this surgery. The first is called the connective tissue graft, where the subepithelial connective tissue located at the roof of the mouth palate is used. The second type of gum graft is the gingival graft, where tissues are selected from the back of the mouth. Finally, there is the pedicle graft; the healthy tissue is removed from the neighboring teeth instead of the palate and then grafted at the affected area. The choice of the type of gum graft surgery that needs to be performed essentially boils down to your specific medical conditions and requirements. Your dentist will first take a look at your gums to analyze whether a simple gum lift will suffice or if you need the more comprehensive gum graft treatment. So, when should you get a gum lift or a gum graft? Well, a gum lift and a gum graft are two opposing sides of the same coin. While a gum lift helps reduce the excess gums in the mouth, a gum graft is used to increase the amount of gums in your mouth. The choice between the two depends on what you require health-wise and what you personally want. Local anesthesia is given for this particular procedure, and you can get back to your normal routine in a day or two. Swelling and slight pain will last for up to 24 hours after the surgery. This can prevent you from eating anything for an entire day. Don’t consume too many solids even a week after the surgery. Stick to liquid foods instead. Choose cold foods over hot, as they help preserve the life of the gum grafts for longer. You should also take your antibiotics regularly to prevent the onset of infection and plaque build. Avoid brushing, flossing, and using mouthwash until your dentist provides you with explicit instructions for the same. They prevent teeth from getting injured due to exposure. They reduce the patient’s vulnerability to tooth decay. They make the teeth look more beautiful than they are. Get in touch with our staff at Somi Dental Group today or fill out the provided form to schedule an appointment. Our staff will contact you as soon as they receive your form!